Home » Blog » Why Do You Need Truck Insurance? Given the vast size of Australia, it should come as no surprise that we rely on trucks to transport goods. In fact, approximately 75% of freight in Australia is transported on the road which just goes to show how important trucks are to the economy. As a truck driver, you face a number of risks on the road which is why it’s so important that you have the right insurance in place so you’re protected. Let’s take a look at just some of the reasons why truck insurance is essential. When you’re on the road as a truck driver day in day out, you face a number of risks and your truck is a big financial investment which is worth protecting. With heavy motor insurance, you can be confident that you’re covered financially if something happens to your truck. This policy will cover a range of risk scenarios that you face every day on the road and it can provide cover for damage and loss to your vehicle. It’s not just your truck you need to worry about when you’re on the road – it’s also the goods you’re carrying. If loss or damage occurs to the goods you’re transporting, goods in transit insurance will protect your against the associated financial loss. Events which are typically covered by this policy include damage or loss following a collision or overturning, fire, flood, explosion, and malicious damage. Theft from forced entry is also generally covered. If you’re used to earning good money as a truck driver, it can have serious financial consequences if you suddenly find yourself unable to operate due to loss or damage to your truck. To help you cope financially if you’re off the road, you can take out downtime insurance. This cover is designed to help your business keep going if you’re unable to use your vehicle and can help with the finance payments of your truck and pay for everyday living expenses. Having truck insurance in place makes a lot of sense from a financial perspective but it’s also important to remember that you will generally have a legal obligation to have insurance cover in place. Make sure you’re fully aware of your legal requirements and have a chat to your insurance broker if you’re unsure. If you want to make sure that you have the best level of cover possible as an owner-operator truck driver, speak to the team at GSK Insurance Brokers. We’ll be able to offer a customised insurance package so you can be confident that your areas of risk are covered while you’re on the road. You’ll be able to contact your broker with any questions you may have along the way so we can help you through the process. 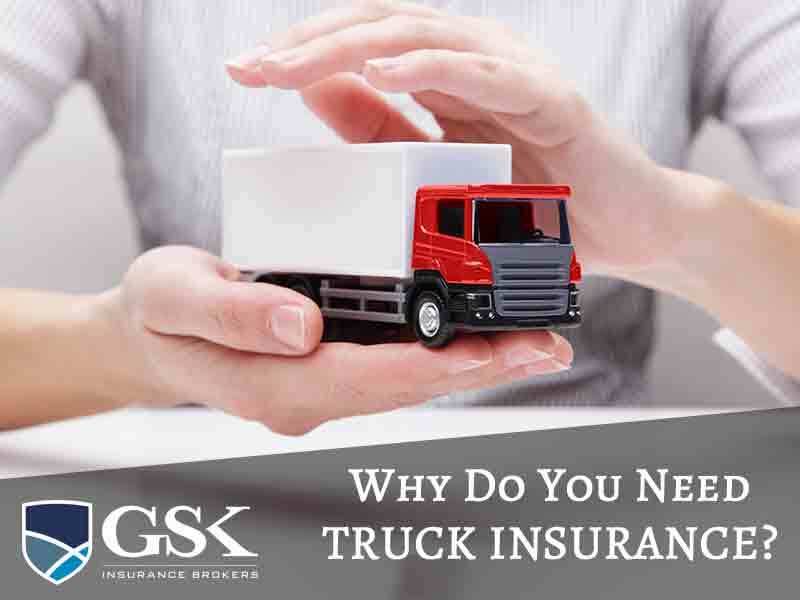 For high quality truck insurance Perth at a competitive price, contact GSK Insurance Brokers today on (08) 9478 1933.